The Tampa Bay Rays are throwing out plenty of ideas about what could be part of a next-generation ballpark, including a single-deck facility, non-traditional seating plans and a new type of synthetic turf that will allow use of the field year-round. The potentially game-changing shift in ballpark design is coming up as Rays officials meet with reps from Hillsborough and Pinellas counties, Tampa and St. Petersburg about a potential ballpark site as well as financing options. These discussions are taking place in private (elected officials are working hard not to have Florida’s open-meetings law kick in to allow the public and the press), but all sides are still making comments to the press. And, judging by these comments, there are two big issues at play: the ballpark design and the ballpark location. Despite owner Stu Sternberg’s oft-stated desire for natural grass, the team is investigating new types of turf that may treat players’ knees better than grass. The turf could also hold up better if the stadium is open to the public in the offseason or when the team is on the road. Team officials are considering a new kind of ticket that allows the fan to roam. An inning or two behind home plate could be followed by another couple of innings hanging out in a bar area or a section along right field. Maybe there won’t be an upper deck. “The ability to have a ballpark that is the most intimate in all of Major League Baseball could mean that it doesn’t have an upper deck, and people are very interested in that,” said Lenz, saying that doesn’t mean cheaper tickets will disappear. Besides the design, the ballpark location is still being negotiated. 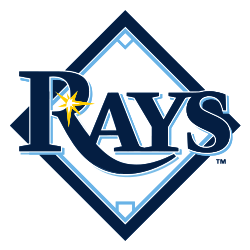 While nine potential Hillsborough County sites have been identified by the team and elected officials, St. Petersburg Mayor Rick Kriseman and the Baseball Forever business group is pushing a location next to Tropicana Field for a new ballpark. It does have several advantages: the land is available and it’s well-served by freeways. But it’s not exactly the most scenic of locales — e.g., the aforementioned freeways — and any new-ballpark plan these days needs to include some sort of adjacent development to justify public spending. Whether or not that’s possible at the Trop site remains to be seen.